I just returned from the bookstore. And first, let me say, bookstores are some of my favorite places in the world. I know they are closing right and left. People are buying Kindles and Nooks, and eReaders all over the place. I don’t have any (although I spend almost all my time on my laptop due to my work in education and technology). Everywhere you turn, someone is predicting the death of the book – to be replaced by it’s electronic cousins. But for me there is no joy like being surrounded by books. I went in the bookstore with a 50.00 gift card, and came out with a stack of books, and a receipt that far exceeded fifty dollars. Often I visit bookstores just because they are there, or I run across one – because I love them so much. But today, I was on a mission – a mission inspired by some powerful preaching by Pastor Otis Moss, III, Executive Pastor of my home church, Trinity United Church of Christ. In my book, My 52 Weeks of Worship, I speak often and with great respect for my home church. It was the first and last place that I visited in The first 52 Weeks of My 52 Weeks of Worship. Going to the 7:30AM service this morning was like going home. Just being there was a joy. And then, the music by the mens choir blessed me further, and finally, the sermon inspired me greatly. Sometimes the pastor/priest/imam/rabbi is speaking directly to you. He spoke about how we are all the “hero and the villain of our own stories.” He reminded us of the power of making a choice – that we can choose to encourage ourselves, and speak life to ourselves, every single day. He reminded us that we can choose to be thankful for all of the wonderful things that God has done for us in our own lives – to thank God for helping us to overcome whatever obstacles we may have faced in our lives. He spoke of transformation, and the renewing of one’s mind, one’s understanding, one’s insight – everything that this My 52 Weeks of Worship journey has allowed me to do. And I heard him, and it was perfect timing. After finishing the last book club choice, Ordinary People as Monks and Mystics (which I loved), I was ready for a new pick! Then I decided. I’ll just read the book. In the Bible. If you have been a part of this book club, you know that I read everything from books that draw from multiple religious traditions, to books from specific religious traditions, like Christianity, or Islam, to books by timeless philosophers. You can expect I will continue to pick books, and read books from a variety of religious and philosophical traditions. You can be sure I will continue to share my picks with you. And, at Barnes and Noble today, I bought a bunch of other books that you will see as My52WOW Book Club choices. 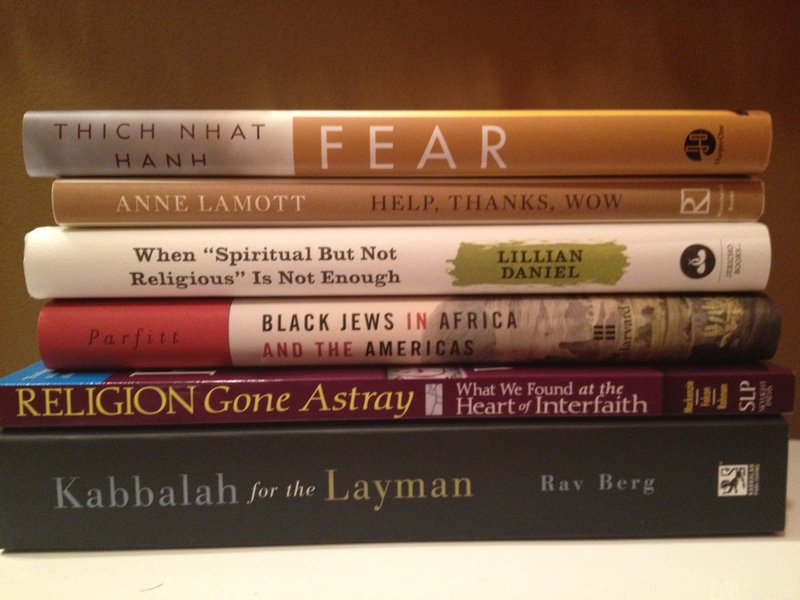 Books that I can’t wait to read, that I know will challenge me and inspire me. Some of them are pictured here. 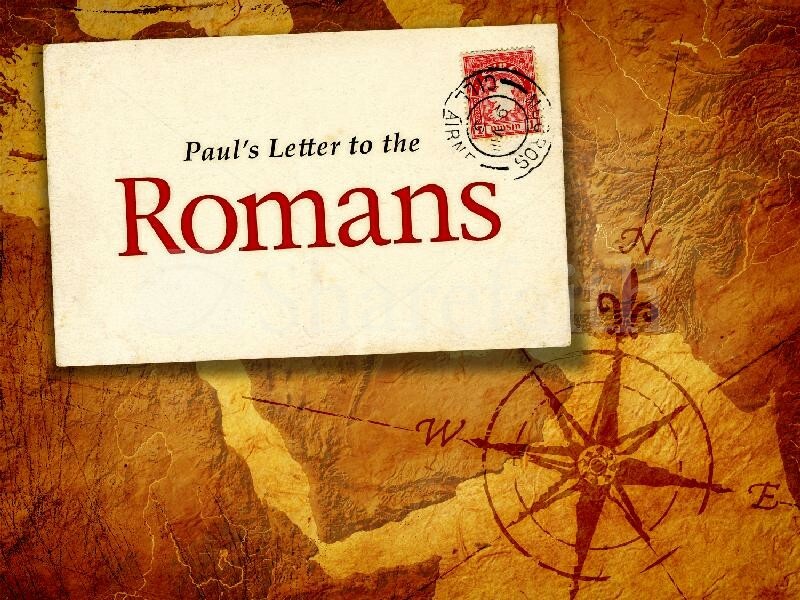 But for the next few days, I will read and reread Romans, as inspired by this morning’s church sermon. I invite you to read it with me, and let me know what you think, what you learn.